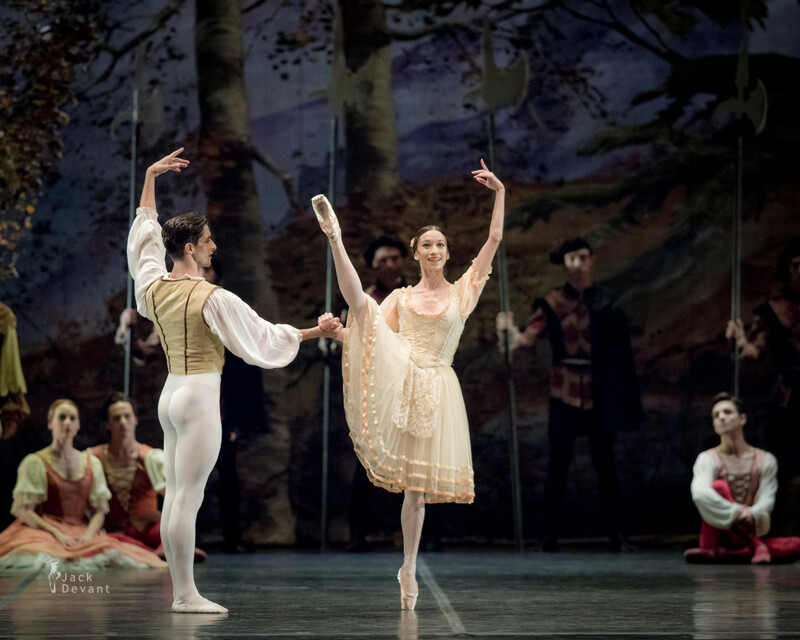 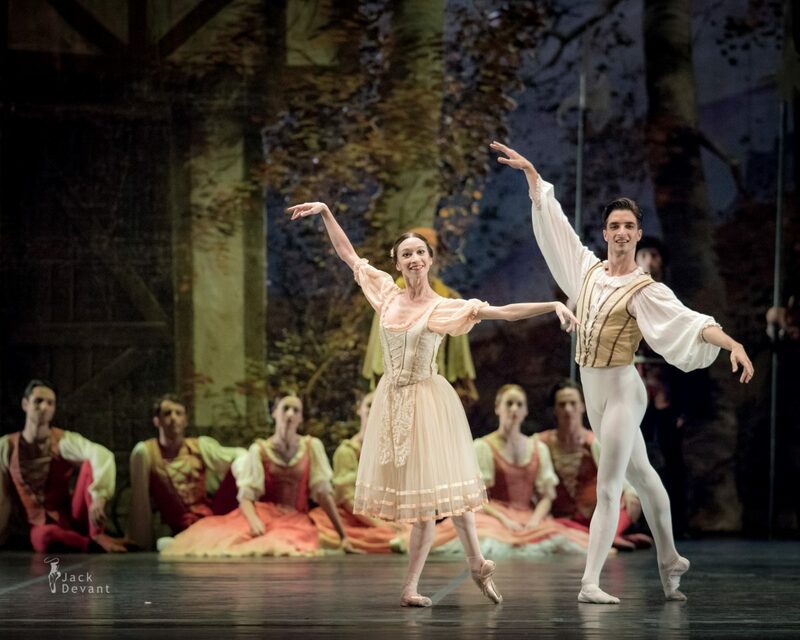 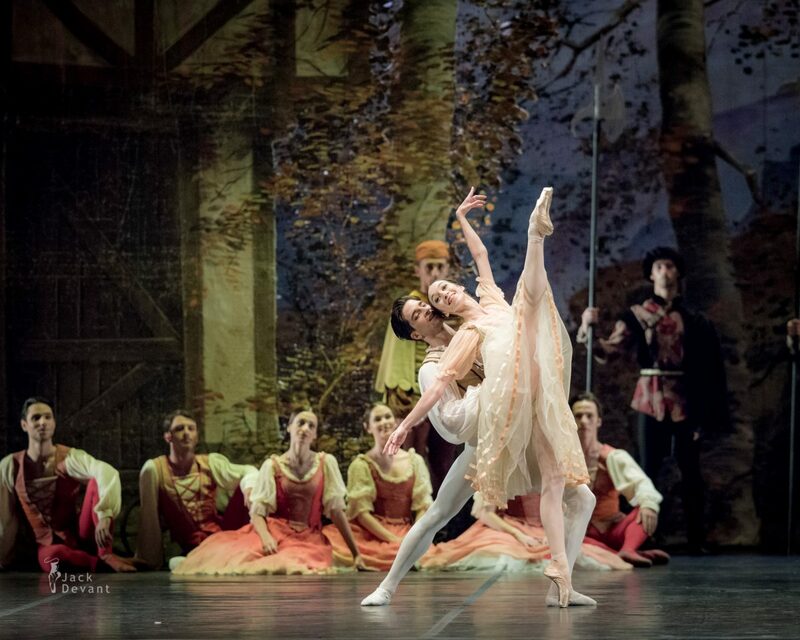 Sara Sancamillo and Stanislao Capissi in Peasant pdd in Giselle, music by Adolphe Adam, choreography by Jean Coralli, Juler Perrot, Marius Petipa, new version by Ludmila Semenyaka. 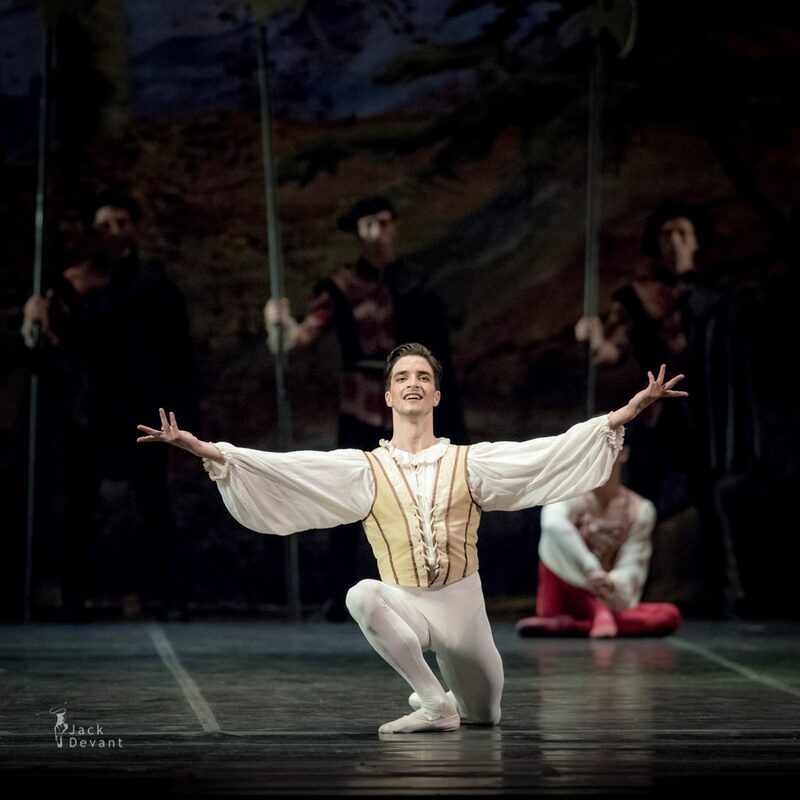 Conductor Aleksei Baklan. 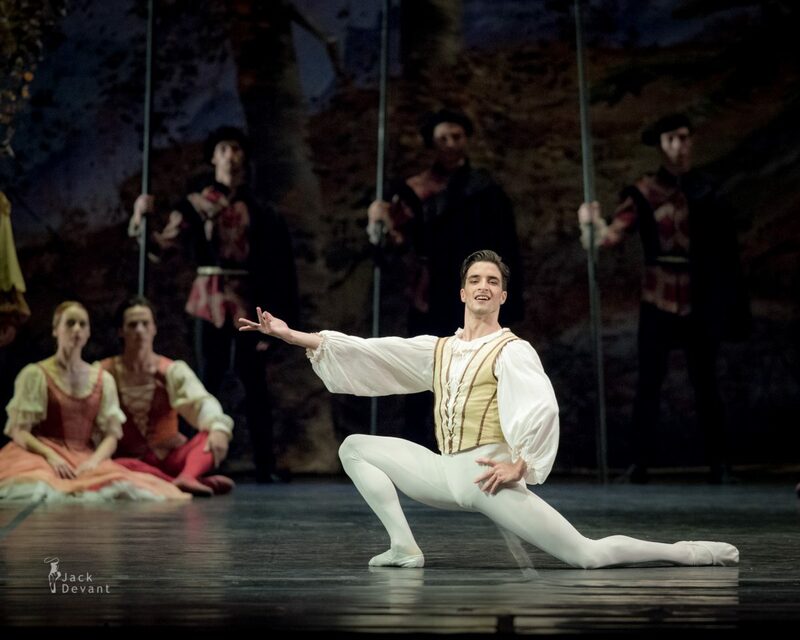 Shot on 2.8.2015 in Teatro Di San Carlo, Naples, Italy. 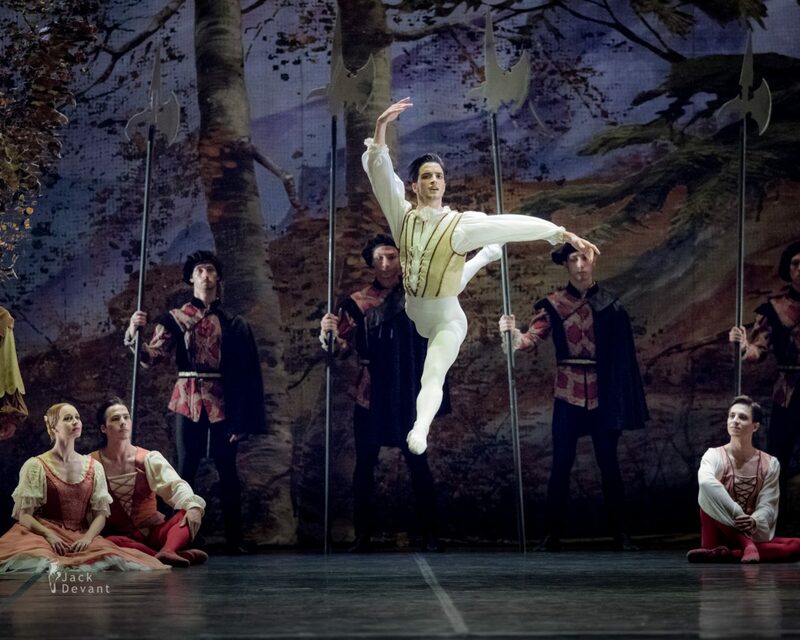 Sara Sancamillo and Stanislao Capissi are currently with Ballet Company of San Carlo Theatre, Naples, Italy. 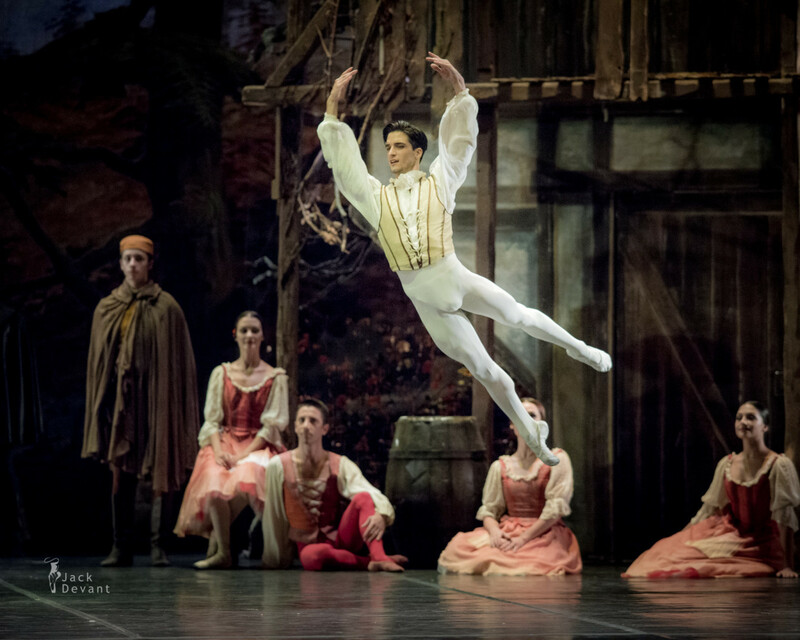 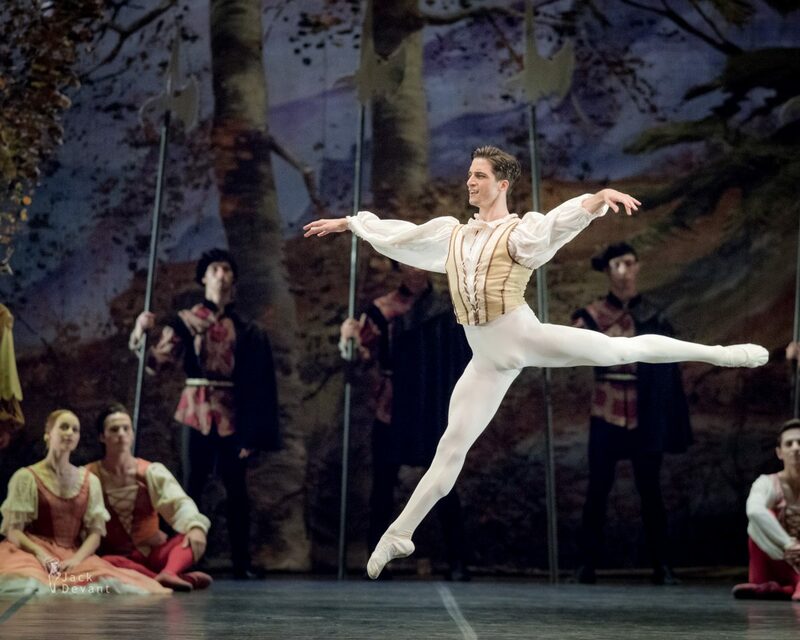 Peasant pas de deux — Adam’s score for Giselle acquired several additional numbers over the course of its performance history. 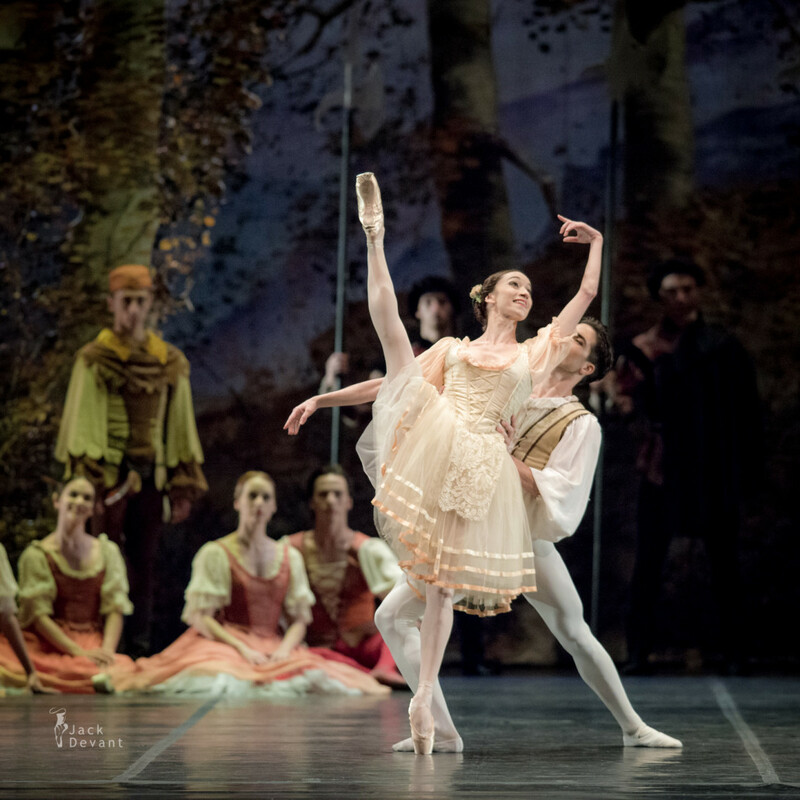 Following the first répétition générale on the stage of the Paris Opéra, the danseuse Nathalie Fitz-James used her influence as the mistress of an influential patron of the theatre to have a pas inserted for herself into the ballet. 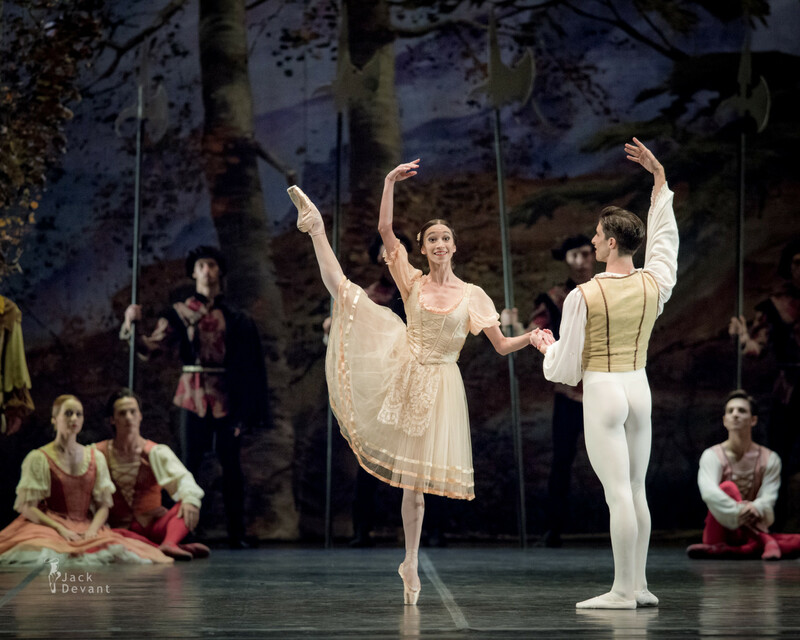 Jean Coralli quickly arranged a pas de deux for Fitz-James and the danseur Auguste Mabille to music fashioned from the composer Friedrich Burgmüller’s suite Souvenirs de Ratisbonne. 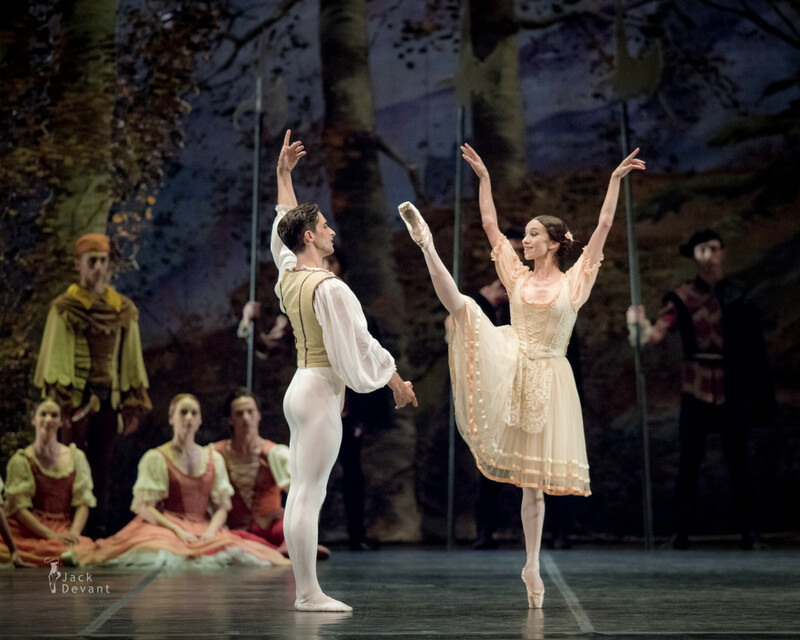 This pas de deux, which was dubbed the Pas des paysans (or Peasant pas de deux), immediately became part of the ballet’s performance tradition.